Education is something that has peaked in significance in many African countries. Although the dissimilarities in the education systems of different African countries, they all have a similar perspective. Like many States in Africa, education is considered an opportunity and the topmost institutions in the education system are the universities. Makerere University is the best university in Uganda strategically mounted on top of Makerere Hill and has groomed a number of prominent people especially from the East African region like the late Julius Nyerere (former president of Tanzania), Joseph Kabila (president of Cong DR) and Mwai Kibaki (former Kenyan president). On top of its deep history of academic excellence that dates back over half a century, the institute is not limited from being a worthwhile Safari and Tours Destination in the East African region. 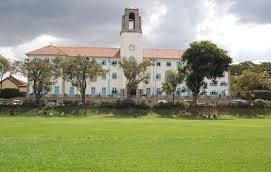 At the heart of the University campus the Ivory Tower, which has sometimes been referred to as “The Temple of Knowledge”, is the most definitive architectural product in Makerere. Having a Uganda safari and tour to Makerere and not taking a photo next to this building would be like going to Paris and not snapshotting the Eifel tower. The building has fine and thick walls which have stood strong over the years and house the topmost administrative offices in the university. Little known but true, on the university’s campus is the only zoological museum in Uganda. The museum’s setting is compacted in a manner to trap you within glasses of rock fossils, remains of birds and animals which are indigenous to Uganda. You will not find a museum of its kind anywhere else in Uganda. The university is also home to East Africa’s best, largest and most comprehensive library which includes literary and academic works from all over Africa; and is also the legal depository for works done by Ugandans and other NGOs like the United Nations (UN). The library is surely something to checkout while your safari adventures through Uganda’s academic peak. The university also has a number of artistically molded monuments and sculptures which are distributed throughout its campus, each with a unique story attached to it. Some will be found on the university trails while others can be found at the halls of residence and in the main library. In its wildlife department, the university will very soon open up a pre-wildlife safari and tours briefing center which interested tourists who plan to visit Uganda’s National Parks will want to visit before heading out to the parks. Currently, visitors can see a simulation of Uganda’s attractions including the mountain gorillas, fields of food crops and cash crops, and the department also has a center which trains people in doctoring mountain gorillas. So before you head out for your adventures, you can know what to anticipate. Just adjacent to the wildlife department is a kraal to which tourists can make safaris and tours while in Uganda and will see wowing animals like the resident five-legged cow which might not be easy to find elsewhere. Another very interesting thing about this university is that it brings together peoples from different circles of the world representing all regions of Uganda, including Kenyans, Tanzanians, Zimbabweans, South Africans and Europeans (just to mention a few). All these people come with different cultures which are represented through arts and crafts at the University’s souvenir shop or through music dance and drama. With a wonderful location (near the city center) guarded by topnotch security and not limited to a variety of recreational facilities; like a tennis and basketball court, swimming pool, rugby and soccer fields; Makerere University remains one of the many places you will want to at least make a stroll to or perhaps spend a night or two at the Makerere University Guesthouse so as to experience the complete package.